Best Seller! Antique Gold Plated Angel wings. 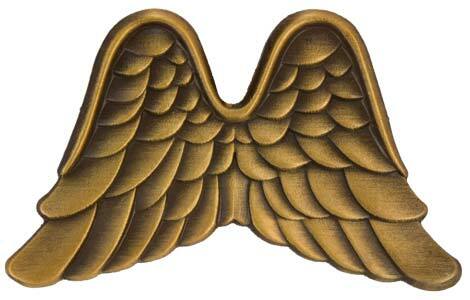 Many uses for these angel wings pin such as volunteers, friendship, memorials. We all believe in Angels. 1 1/4 inch wide. Larger size. Quantity pricing. The pins were just as described and came promptly. Will certainly purchase from you again!